You must buy a minimum of 49 at a time due to manufacturer packaging. 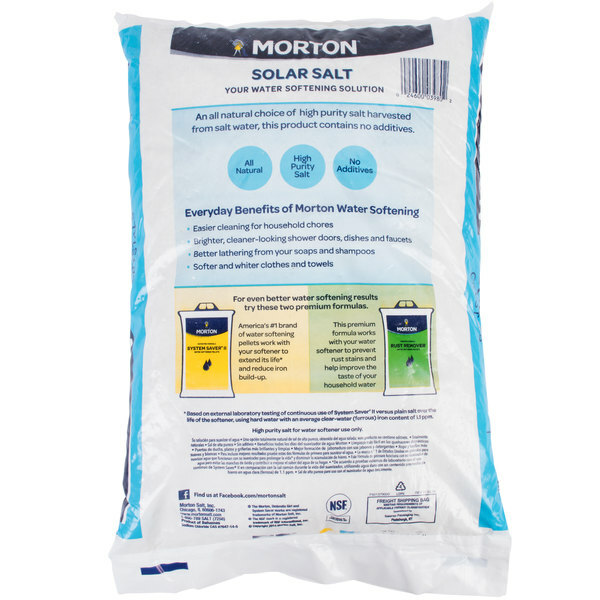 Use this high purity solar salt to limit maintenance on your water softener while keeping cups, dinnerware, and flatware free of unsightly spots! Containing up to 99.5% pure salt, this water softener is highly effective and has a white, opaque appearance and a low insoluble content, so they are sure to last. Additionally, an added benefit to softer water is that clothes and linens will become even cleaner. The dissolved minerals in hard water such as calcium and magnesium often prevent clothes, towels, and sheets from being effectively cleaned and often leads to needing more laundry detergent and even hotter water to get those cleaned. This salt minimizes the accumulation of brine tank residue and helps resist mushing, bridging, and channeling, and is recommended for all side-by-side water conditions. It is used to reduce the concentration of hard water that can leave spots on all of your dishes, ensuring your tabletop presentation is clean and professional. Morton Solar Salt is great. It reduces hard water and it leaves your dishes clean and with no residue. This price is great too. I would definitely recommend this. Perfect salt for removing spots on plates and coffee mugs. They will come out looking clean like they are brand new! Perfect salt and perfect price. Great for adding a handful to everyday dishwater to keep dishes looking and smelling very clean! A 50lb. bag will last a few months at moderate use. works great! Great value, compare to any store around and there is no comparison. Great product, great price. Does what it is supposed to do, that is all that is expected! 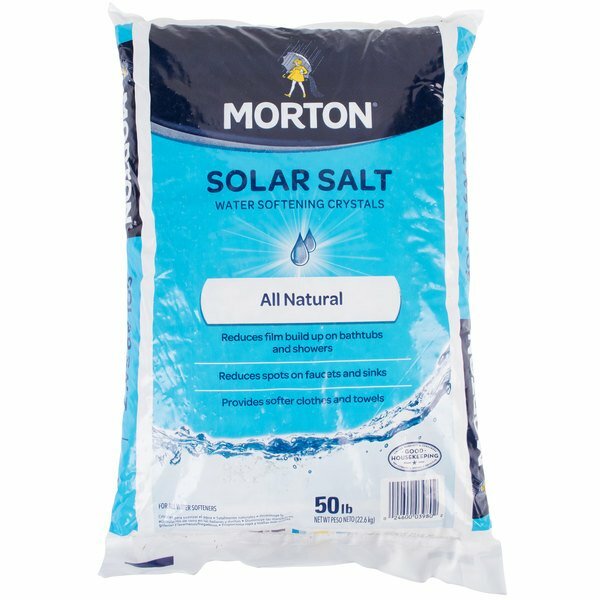 The Solar Salt - 50 lb. Bag. It is great for water softeners. Keeps the calcium and lime build up away. Make your dishes stay shiney all the time.